Mega Sean formerly known as Bubba Sean, he does reggae style hip hop, hip-hop and reggae. Mega Sean has recorded songs with Legends like Master P, Choclair, Lil Romeo, Cutty Ranks to name a few. A few years ago Mega Sean did a McDonald's commercial, as well as the dairy milk rap commercial with two white Farmers lip-syncing his lyrics. 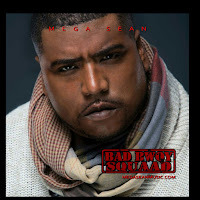 Mega Sean has performed opening up for people like Rihanna, Cutty Ranks, Melly Mel, Lloyd Banks, Ice T and others. His past group called Cryogenics sold over 100,000 CDs out the trunk of his car in the streets of Toronto. Now that's trapping! A hot record titled "Make You Mine" is Mega Sean's next single off his new album called "Live "Live". "Live Life" which will be a mix up tropical house reggae and Hip-Hop is coming soon!